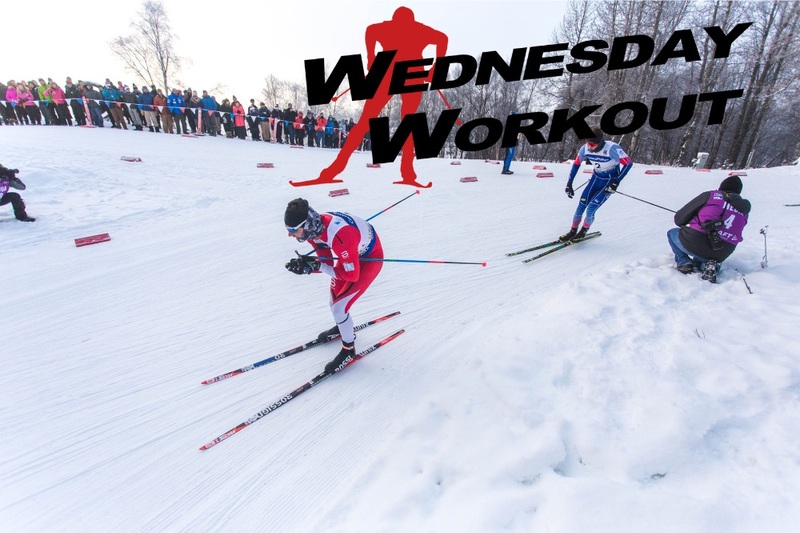 This Wednesday Workout was provided by twenty-six-year-old Bridger Ski Foundation (BSF) skier Nick Michaud. Bates College educated and raised plumb-line north in Fort Kent Maine, Michaud has emerged as a sprinter to watch on the SuperTour. He’s a gritty, salt-of-the-earth athlete who barely missed a nomination to the 2018 Olympic Team. Michaud offered FasterSkier a menu of options for the 30/30 workout — 30 seconds on 30 seconds off. From junior athletes to masters in M8 and beyond, Michaud has you covered with these training session variants. “Short, explosive movements are like bacon for me. I’m thrilled to eat bacon anytime, anywhere, with anyone. With vegetables, grains, and most foods that are really important for function, it can feel like a chore. That’s what a lot of nordic ski training feels like for me. My body, my mind, would prefer to just do speed work, lift heavy weight, and play basketball — and eat bacon. But in order to meet my performance goals, I have to eat vegetables and grains: aerobic base, lactate threshold, energy management, mindfulness and so much more. For these reasons, I love 30/30s. The execution is very simple: 30 seconds “on”, 30 seconds “off”. The effort and duration can be customized for the purpose of the workout. There should always be a purpose!. For athletes with periodized training plans, 30/30s can be used in different cycles of training to meet different goals. For a more casual athlete, 30/30s can simply be an extremely fun way to get in some higher intensity training. Dragan Danevski, BSF nordic program director, began using 30/30s eight years ago. There was a study in Europe focusing on track and field and how to improve efficiency of running economy, improve aerobic capacity, and reduce the recovery time in a 30/30 workout. The original study tracked mainly 1500m and 3000m runners. Danevski adjusted the workout for skiers here at BSF. Danevski said BSF has used 30 by 30s for a few different goals: improving skier’s economy, stimulate good technique, and shortening recovery time for lactate clearance. Originally it was for improving threshold. For his skiers, Danevski saw the potential to improve anaerobic capacity. Throughout summer Danevski follows the study and uses 30/30s to improve threshold. For the following age groups, the coach prescribes one 25-30 minute block of 30/30s for U16 and U18s. U20s go for a 30-35 a minute block of 30/30s. Some older skiers are ready for a 45 minute 30/30 session. Danevski said these 30/30 training days need to be disciplined by monitoring heart rate. In the past, the 30/30 workouts were used only during intensity blocks. Recently, we’ve started using it throughout the whole training year: on skis, foot, and rollerskis. Psychologically, Danevski said the 30/30 is a more tolerable intensity session, especially for kids, since they can focus on high-quality efforts for 30 seconds each time. It’s easier to focus. As we transition into fall here at BSF, we also use 30/30s to improve anaerobic capacity. One basic example we use are three to six sets of a 15-minute long 30/30s — with appropriate rest between each set. Nick Michaud: 3 x 5 minutes, sprint pace. So we are all clear, this means a five minute long 30/30 excecuted three seperate times. During each five minute period, that’s a total of 2.5 minutes “on”, and 2.5 minutes “off”. For the entire session, the athlete is “on” for 7.5 minutes, or half the total elasped time. I rest for five minutes between each set. Notes: I use this two days before a sprint race, increasing my effort each set. It’s a great way to get a feel for speed, technique, and effort in all areas of the course. I take five minute breaks between sets. I leave the venue with a good understanding of the course and excited to move fast on it two days later. 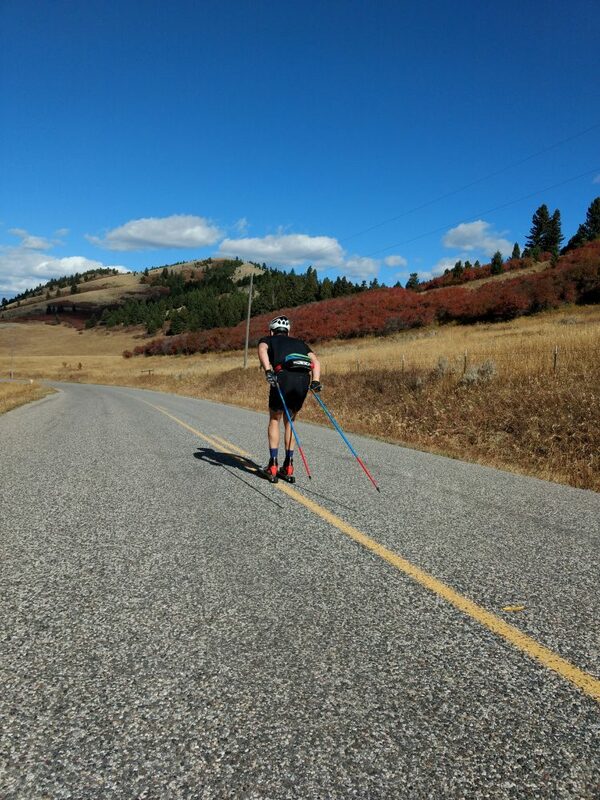 Using this training sessions at different points of the year is a great way to practice understanding the critical difference between effort and ski speed — which I think is crucial. Gary Colliander, US Paralympic Biathlon Coach: 4-8 x 6 minutes. Number of blocks depends on L3 or L4. Notes from Colliander: “Focus on quality of movement through the interval and a slightly higher turnover. With the short ‘on’ time I think you can hold the technique together better and because there is a short rest you can potentially push the pace and thus the level a bit. They’re still very tough, but that short rest just seems to offer bit of recovery while allowing the heart rate to remain high. Lina Hultin, Bridger Ski Foundation Development/Competitive Team Coach: 5×6 minutes. Notes from Hultin: “What I like with 30/30s and 45/15s is that it allows the athletes to ski more efficiently. Since you have that shorter break, you tend to have better and more efficient technique since athletes ‘dare’ to push it a little harder when they know they will have a shorter break. Good technique requires strength and power and the shorter interval allows athletes to keep good technique for a longer time. Akeo Maifeld Carucci: Craftsbury Green Racing Project Athlete: 2-4 x 10-15 minutes at L4+. 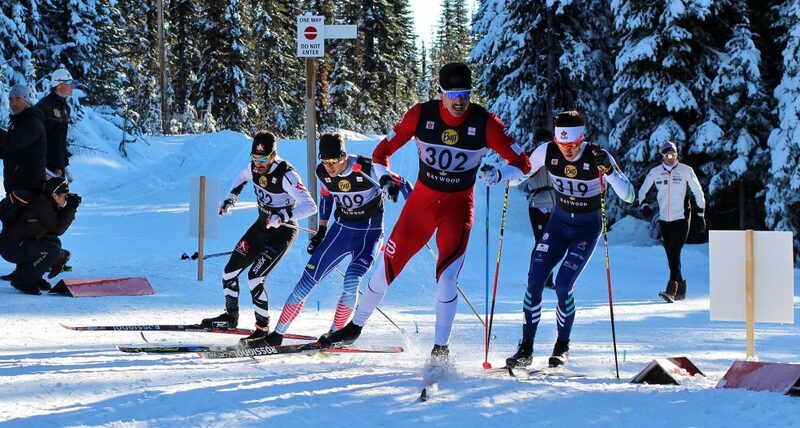 Will Sweetser: Nordic Programs Director at Sugar Bowl Ski Team and Academy: 15 sec/15 sec 6-12 minutes. Notes: “I use 6-12 minute repeats with ‘on time’ at either L3+ or goal pace for races 8 minutes and longer. First used this coaching runners in the mid 90’s. Have since had good success with younger athletes developing pace sense.